KEY PRODUCT FOCUS: Please pick the three most exciting boards from your new 18/19 line and tell us about them. 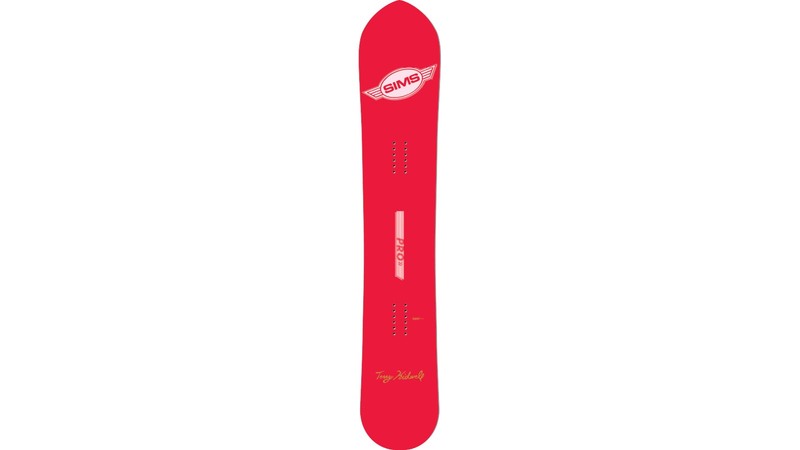 Kidwell RT2 – New to the line for 18/19 is the Kidwell RT2: TK’s original Roundtail graphic on a new modern shape. This Directional All-Mountain board has it all and features Real (Traditional) camber, Vario Power Grip Sidecut, slight taper in the tail, Micro Early Rise in the nose and a mid-firm flex. It’s loaded up with carbon making this a lively and responsive shred machine ready to crush everything in sight. Available in: 1550, 1575, 1580X, 1600, 1610X. Tom Sims Pro – Following up on the successful 1st year Tom Sims Pro, the 18/19 Tom Sims Pro is dedicated to Tom’s focus on performance and is inspired by original team colours with a small balance of oak texture which nods to the original SIMS wood kick skateboards. These brand legacy colours and elements create a visually inspiring, performance oriented pro-model designated with our founder’s name. Available in: 1550, 1580, 1590X, 1610, 1620X. Juice – The all new Juice graphic is based on the idea of performance driving the aesthetic. This is a modern step forward for the brand that introduces powerful new elements with subtle sprinkles of the SIMS brand dna. The proven functional characteristics of the board coupled with this clean, intriguing visual aesthetic speaks to the legendary SIMS attitude of performance based riding. Available in: 1530, 1560, 1570X, 1590, 1600X. Where are you building, what factory in what country? No wrong answer here. What makes this production facility the best solution? Our boards are built at Never Summer Industries in Colorado, USA. We have our own SIMS specific shapes, camber based profiles and a 3 Year Warranty with the same hand-crafted quality that N.S. is known for. They make the highest quality boards and we are very excited to be working with such an amazing manufacturing partner. The Juice, which retails for $519.99 (USD), is our #1 seller by far. This board sits in the middle of our pricing structure and offers the best of everything while being able to handle all the mountains throw at you. We’re interested in graphic themes running through your line. What is your art department feeding you for next year? Flashy, muted, landscapes, patterns, photos, what? In general, the graphics are fairly muted but we continue to integrate modern and vintage SIMS elements that compliment each other. What the hell can we all do to make more normal people want to snowboard again? Snowboarding needs to be more tangible. On-snow demos are super important to get people stoked on new product offerings. What are your top marketing stories for next season? This will help us to put the focus in the right place. The fact that Kidwell is back in the brand mix with the Kidwell RT2. This is long overdue, well deserved and it’s an amazing story.